IVH in premature neonates often results in hydrocephalus. 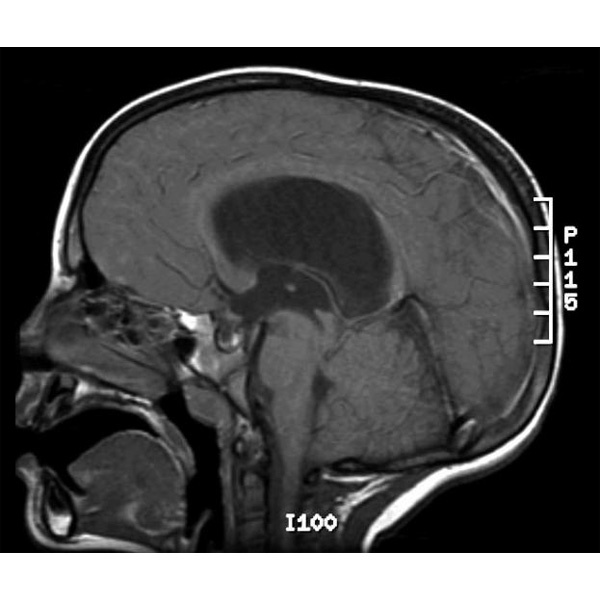 Special features of this type of hydrocephalus are the increased rate of postoperative complications, the frequent concomitant parenchymal volume loss, and the major impact on the neonate’s overall outcome. High prevalence of IVH: Improved treatment and survival rates of premature infants create a larger group of at-risk patients. Presence of blood degradation products: There is increasing evidence for the role of TGF-β1 in the pathogenesis of hydrocephalus after IVH. The blood degradation products promote fibrosing obliterative arachnoiditis, meningeal fibrosis, and subependymal gliosis. Distinguishing parenchymal volume loss from active hydrocephalus: Cerebral atrophy and leucomalacia often follow hemorrhagic insults in neonates. Clinical and imaging criteria can be used to differentiate these from ventricular enlargement due to increased CSF pressure. Timing for intervention: Close clinical and imaging follow-up (serial ultrasounds) is needed to determine a possible shift of the neonate into the symptomatic group that requires intervention for removal of excess CSF. Ventriculoperitoneal shunts: Insertion of a ventriculoperitoneal shunt remains the gold standard and the treatment endpoint.